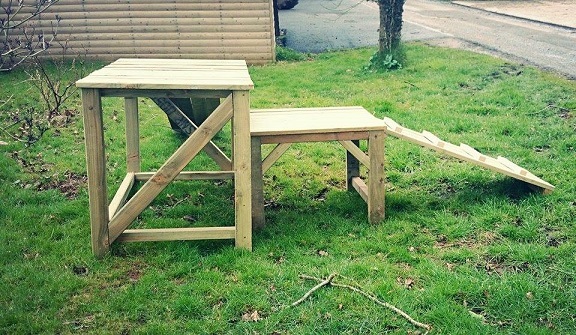 This hand-made activity ramp, built using pressure treated timber, is designed initially for Pygmy Goats. However it can also be used and/or adapted as required for other species. 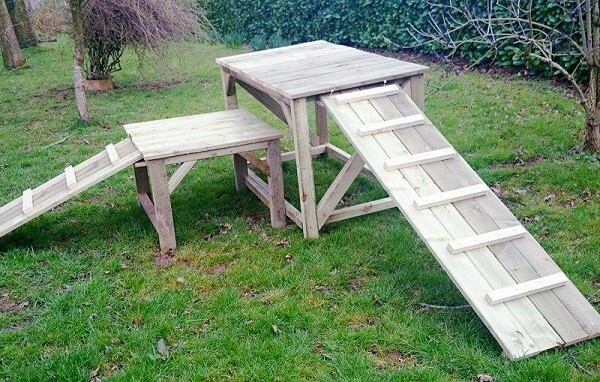 Your Pet Goats will love the ramp – to be able to see the world from a whole new level! 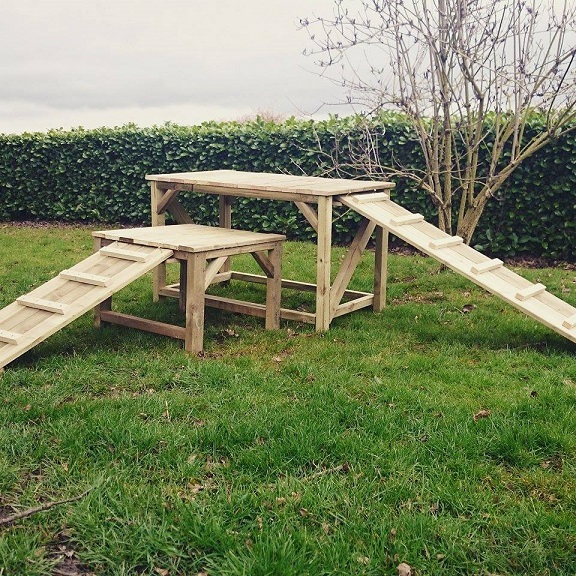 Watch them climb up and jump off, run in and around it in play or even simply use the platforms as the perfect sunbathing spots! 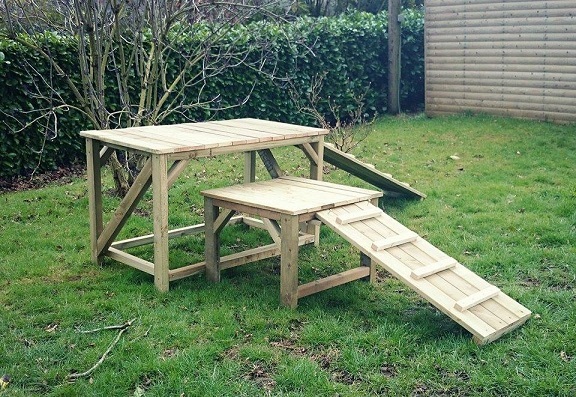 It could also be used as an off the ground feeding station, if you have different animals in the same area.